Paddling to Cumberland Island is a true sea kayaking adventure! 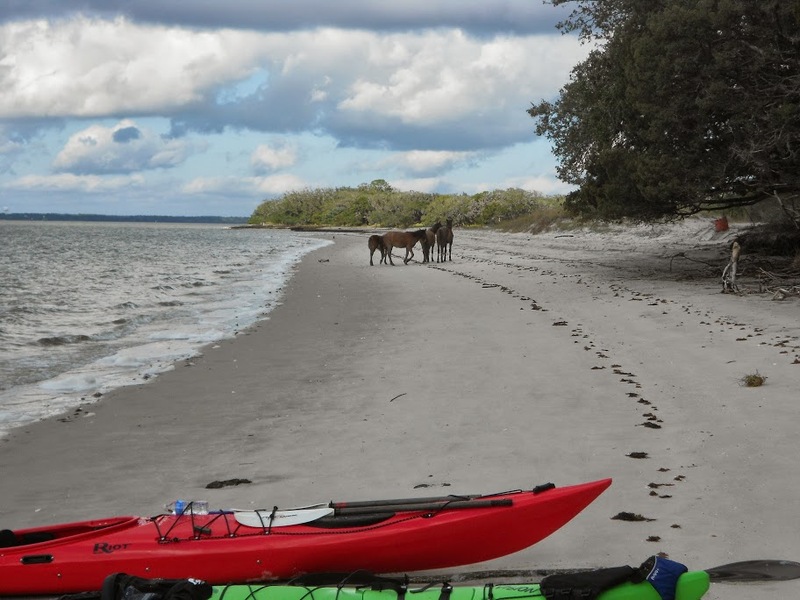 Paddling from the mainland over to Cumberland Island National Seashore, you’ll pass by the bluffs of Crooked River State Park and then through miles of salt marsh, as you ride the swift tidal currents of the Crooked River. Land on the island at the Plum Orchard dock and visit Plum Orchard mansion, a reminder of opulent days past. Then, either enjoy a picnic lunch on the grounds of the mansion, or walk across a true forest wonderland to miles of empty and undisturbed beaches. 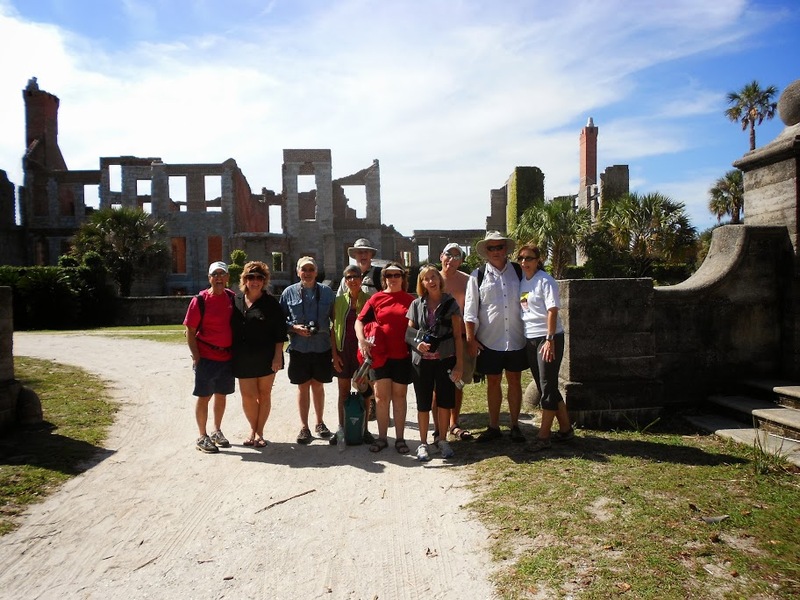 Sometimes referred to as, “The Cumberland Island Challenge,” this action packed day will give the participant a true sense of accomplishment. Cumberland Island is Georgia’s largest and southernmost barrier island. Cumberland Island has three major ecosystem regions: Salt marsh; Maritime forest; and, Beach and dune fields. Along the western edge of the island there are large areas of saltwater marshes lining the Intracoastal Waterway (ICW) and estuaries. As the marsh gives way to higher ground, trees and dense vegetation mark the maritime forest where one will see gnarled live oak trees covered with Spanish moss and the palmetto plants common in this area. Cumberland Island’s most famous ecosystem is its beach, which stretches over 17-miles. On this trip, we sometimes have an opportunity to get a guided-tour of Plum Orchard Mansion — which was built in 1898 for George Carnegie & Margaret Thaw. This trip does not require previous paddling experience; however, it is physically challenging due to the length of the trip and the amount of time spent in the elements. 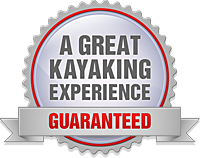 The paddling portion of this trip is suited for beginner through advanced skill-levels. There is little protection from the wind, making this trip more challenging on windy days. The Crooked River has very strong tidal currents and this trip must be done with the tides. For this reason, this trip is only possible with morning ebb and afternoon flood-tides. Lunch arrangements may be made for this trip. A typical lunch will include: Sandwich; chips; fresh fruit and a treat. Water and snacks will also be provided, but it is always a good idea to bring extra water and anything else you think you may want to eat, drink or have on hand once you get to the island. We may be able to accommodate special requests or dietary restrictions if needed. This trip provides an opportunity to visit to the Dungeness ruins, an old Carnegie estate. Dungeness has a colorful history and was the centerpiece of the island’s society and the Carnegie family around the 1900’s. Constructed by Thomas Carnegie, for decades it was a symbol of opulence famous for lavish parties for elite guests. 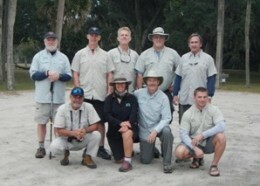 Paddlers launching from Amelia Island or Crooked River State Park paddle approximately 2 to 2.5-hours to either the Dungeness Dock or the Sea Camp dock, where they will leave the kayaks and set off on foot to explore Cumberland Island. From the Sea Camp dock, the beach is only a short, five-minute walk; while the walk to Dungeness is closer to 30-minutes. There are many sights along the trails on this part of the island, from wild horses to rusted automobile remains. The Ice House Museum is also just a few steps from the Dungeness dock. This trip is geared towards the intermediate level paddler, mostly due to the open water conditions. Paddlers navigate the Cumberland Sound in sea kayaks where they are exposed to strong tides, winds, waves and boat traffic. Afternoon winds and storms can create challenging conditions during the return trip. Customers must be physically capable. Tandem sea kayaks may be utilized. This is a wonderful and physical full-day adventure. This trip may depart from Crooked River State Park (outgoing tides) or Amelia Island / Fort Clinch (incoming tides). This trip is an Island-hopping escape. Leaving from the North End of Amelia Island, and crossing the Cumberland Sound, the Horse Creek trip is sure to please those seeking a bit more adventure on their kayak trip. Though it is a short paddle from Fort Clinch (incoming tides) or the Dee Dee Bartels boat ramp (outgoing tides), the crossing from Amelia Island to Cumberland Island can be quite exciting. Heavy boat traffic (including the occasional nuclear submarine), strong currents and big seas require the ability to paddle vigorously in conditions. Afternoon winds on the Cumberland Sound always make for an interesting paddle. The South-End Adventure leaves from St. Marys and can be anywhere from 5 to 7-miles, depending on where we land on Cumberland Island. Though a much longer paddle, this trip avoids the biggest part of the Sound while giving us access to the same part of the island. The trip over takes approximately 2-hours and then, depending on where we land, there could be a couple more hours of walking and exploring before climbing back into the kayaks for a 2-hour return trip. These trips are a full-day of activity, but both offer priceless moments of solitude as you relax on a deserted beach. These Cumberland Island south end trips are ideal island getaways for nature lovers. There are no Mansions or Ruins on the remote south end; just undisturbed flora and fauna enjoying parts of the island only accessible by kayak. Horses and crabs share the south end cut trail with visitors hiking between the maritime forest and the beach. Vast marshlands filled with grazing wild horses and a variety of feeding birds offer a stark contrast to the massive guns atop the walls of Fort Clinch just across the channel guarding the entrance between Amelia and Cumberland. Whether alone on miles of white sand beach, or wandering through the dunes or maritime forest, this trip offers coastal barrier island beauty at it’s most pristine.